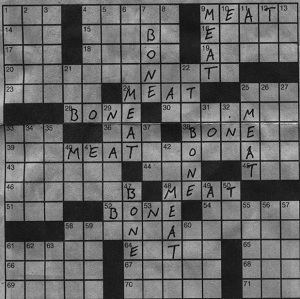 I love word puzzles, I always have. Rebus Puzzles were a favourite. I enjoy crosswords too, and Scrabble/Words With Friends. I’m a sucker for almost everything. Except those bloody ones where you have to find the word that links two other words. They’re awful. “What word goes after Fire but before mat?” Grrr. Waste of time. Dr Kawashima would probably agree. Thus, I’m somewhat put out by the title of the new And So I Watch You From Afar single, their first on the Richter Collective. ‘Search:Party:Animal’ is a strong tune which adds to the anticipation ahead of their second album, and you can download or stream it below.